Georgia neon underglow usage is governed by the state's Code. All relevant laws, rules and regulations pertaining to vehicle lighting including car underglow in Georgia have been provided below. Make sure to examine the regulations carefully and do not use any restricted lights. Usage of neon underglow lighting is governed by Georgia Vehicle Code, Title 40: Motor Vehicles and Traffic, Chapter 8: Equipment and Inspection of Motor Vehicles, Article 1: Equipment Generally, Part 2: Lighting Equipment. Is neon underglow legal in Georgia? Blue, red, violet (purple) and green are restricted by law for use on emergency vehicles, so in no cases should you use these colors on any aftermarket lights including underbody glow. Avoid using any underbody glow which is flashing, rotating, or oscillating. Legally speaking mounting any lights including underglow which is capable of emitting blue light could be considered illegal, even if you use other colors in public. Use at your own risk; in case you’re pulled over by a police officer we strongly suggest not telling them you can change colors (assuming you can, which is the case with most LED underglow systems). There are no relevant GA laws which specifically restrict or prohibit installing car underglow, meaning we consider it legal to use it while driving. As per § 40-8-1, the law does not prohibit installing any additional aftermarket lights are long as they’re not inconsistent with other regulations. Below are all relevant excerpts from Georgia Vehicle Code that limit, restrict or allow certain aftermarket lights to be installed on vehicles. [...] (b) Nothing in this article shall be construed to prohibit the use of additional parts and accessories on any vehicle, which use is not inconsistent with the provisions of this article. (a) Any motor vehicle may be equipped with not to exceed one spotlight, and no lighted spotlight shall be aimed and used upon any approaching vehicle. It shall be unlawful for any person except law enforcement officers and persons licensed under Chapter 38 of Title 43 to operate a spotlight from any moving vehicle on any highway or public roadway. (b) Any motor vehicle may be equipped with not to exceed two foglights mounted on the front at a height not less than 12 inches nor more than 30 inches above the level surface upon which the vehicle stands and so aimed that when the vehicle is not loaded none of the high intensity portion of the light to the left of the center of the vehicle shall at a distance of 25 feet ahead project higher than a level of four inches below the level of the center of the light from which it comes. (c) Any motor vehicle may be equipped with not to exceed one auxiliary passing light mounted on the front at a height not less than 24 inches nor more than 42 inches above the level surface upon which the vehicle stands, and every such auxiliary passing light shall meet the requirements and limitations set forth in this article. (d) Any motor vehicle may be equipped with not to exceed one auxiliary driving light mounted on the front at a height not less than 16 inches nor more than 42 inches above the level surface upon which the vehicle stands, and every such auxiliary driving light shall meet the requirements and limitations set forth in this article. The color in all lighting equipment covered in this title shall be in accordance with Society of Automotive Engineers (SAE) Standard J578, April, 1965, as thereafter revised or amended. You can find the latest standards here. In short, do not use colors red, blue, violet, or green. Penalty for violating this provision is a misdemeanor. In case the blue lights were used in commission of a felony the punishment is a fine not less than $1,000 and imprisonment for no less than one year, or even both. (d) Any vehicle suspected of being operated in violation of this article may be the subject of an inspection conducted by any law enforcement officer who has reason to believe such violation is occurring, without the necessity of obtaining a warrant to permit such inspection. Our information about car neon underglow laws in Georgia was last updated in 2018 and checked in 2019. In case any info we provided is not up to date or correct be sure to contact us so we can revise it. Thank you! Check our data with your local law enforcement or other relevant agencies! Georgia underglow laws in certain cities or counties may be different from state legislation. While we do our very best to provide the most accurate information about LED and neon street glow usage we will not be held liable for any potentially incorrect or misinterpreted info. Georgia Vehicle Code, Title 40: Motor Vehicles, Chapter 8: Equipment and Inspection of Motor Vehicles, Part 2: Lighting Equipment. Georgia is a state located in the southeastern United States. It was established in 1732, the last of the original Thirteen Colonies, and named after King George II of Great Britain. Georgia is the 24th most extensive and the 8th most populous of the 50 United States. From 2007 to 2008, 14 of Georgia's counties ranked among the nation's 100 fastest-growing, second only to Texas. Georgia is known as the Peach State and the Empire State of the South. 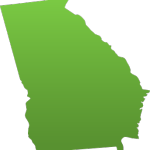 Atlanta is the state's capital and its most populous city. Have questions about traffic or neon glow laws in Georgia?